In case you haven't noticed there is a popular trend out there right now involving Anchors as well as an overall "Sailor" theme. Personally, I'm ambivalent with this particular trend. While I don't outright hate it, I don't love it or need it either. But, perhaps some of you do love it or need it, so I thought I would show examples or inspirations of ways to be a part of this trend. I chose this sweater because although it has the anchor detail, it's subtle here (plus I love elbow patches). Throw it on with you favorite white skinny jeans & a red flat (or shoe of your choice) to bring out the elbow patch color. I wanted to show you these shoes as well because I just grabbed these exact shoes myself at Target last week for $6.58...no joke kids! Since we just talked about a top, let's talk about a bottom with the anchor design. I love navy blue as well as a great fitting ankle pant. I sampled this out two ways depending on how bold you like to go with colors. Fun either way! Getting a little bit more subtle here with this anchor print scarf. Its' a fun & whimsical way to incorporate this trend into your wardrobe. Mix it with another bright color in the form of a skirt, pant, short, or capri for a bright outfit. Also, can I just say here that these sandals are fabulous! Don't you agree?!? Lastly, an even more subtle way to wear an anchor design. Simply add it in the form of a piece of jewelry or a tech accessory. This might be the way I would go should I buy into the trend. So, what are your thoughts....are you going to join the Anchor bandwagon? 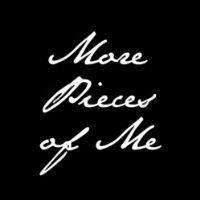 If you have already, what's your favorite piece? I'm neither here nor there with the sailor/anchor obsession as well. But I love the elbow patch, very subtle use of the trend. I also love the accessories. They're a smaller wyay to sport those anchors and I think they're all adorable. The anchor print can be really cute, but I always back out of buying those pieces. I may bite the bullet one day though, maybe closer to summer time. I LOVE that elbow patch top though, now that is super cute! I love the anchor/nautical look but tend to go for the accessories since it is so trendy! I'm with you - I don't love it or hate it but somehow ended up with two pieces in my wardrobe. Not sure how that happened! Maybe I like it more than I think! 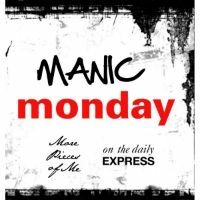 Thanks for sharing the inspiration with manic monday! Cute sets and fun pieces as always! I'm pretty much with you on this trend. I'm indifferent. I bought an anchor shirt after seeing a cute one on someone else, then I ended up returning because I just wasn't sure if it was ME enough. I figured I'm better off saving it for something that I KNOW I want for sure rather than something that gives me uncertainty! Thanks so much for linking up with Fashionably Employed! I love these nautical anchor looks - that striped shirt with the elbow patches is awesome. And while it might be a bit overboard (no pun intended) I like it with the red anchor scarf... Something to consider fo rmy closet!